To advance the lives of our military-connected students, the Department of Defense Education Activity (DoDEA) relies on one true vision: “Excellence in Education for Every Student, Every Day, Everywhere.” The DoDEA Education Partnership Grant Program beautifully showcases this vision. Since 2009, DoDEA has awarded over 475 grants in 36 states reaching over 3,000 military-connected public schools nationwide. Through our grant program we are building partnerships that help military connected students be college and career ready. By sharing resources, we can empower students to work toward clear, consistent and high-reaching goals and exceed learning expectations in order to achieve a rich, rigorous and well-rounded education. This website is yet another way we share our resources with our partners. This website provides a centralized location for military-connected school districts who have been awarded DoDEA grants and those who are grant seekers to find information about our grant tools and resources. Be on the lookout for the NEW ETAC Reporting Guide (tentative release date January 2, 2019) to help you understand the Fall semester reporting requirements and navigate the new DoDEA grant reporting system. On October 29, 2018 DoDEA and ETAC presented a webinar for new grantees, DoDEA Grants: 2018 Post-Award Webinar. This webinar covered 2018 Cohort Information; “Who’s Who” at DoDEA and ETAC; Post-Award Details; Post-Award Meeting Information; Advice for Promoting Your Project; Planning Year Timeline; and other Important Dates. Click here to view the webinar recording. School District 49’s BRIGHT (Building Restorative Interventions Growing Honorable Traditions) team hosted a two-day event in Colorado Springs for 250 educators from across Colorado and from states such as Wyoming and Texas. 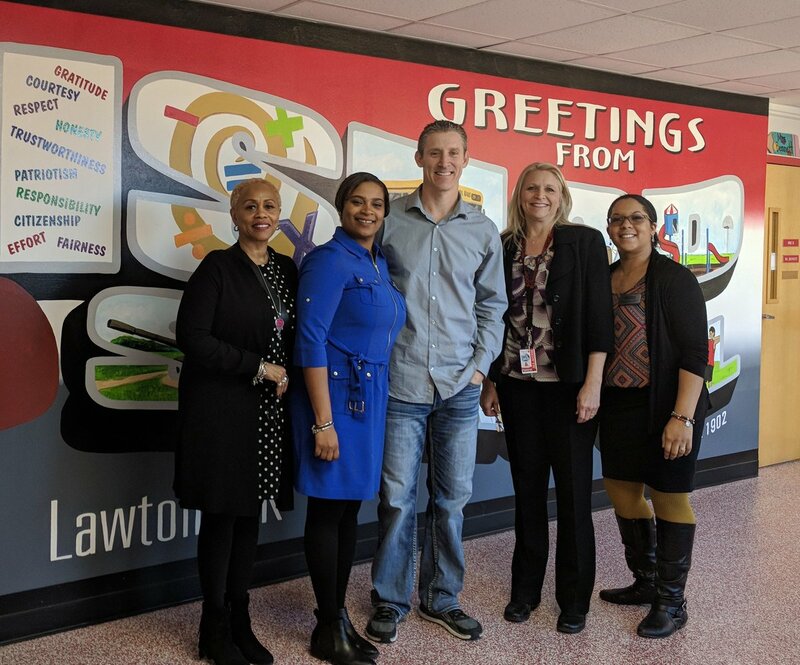 A five-year, $1.5 million DoDEA Education and Partnership Resource grant funded the event as part of the district’s BRIGHT program to improve social-emotional support through implementing restorative practices. Read more here. Don’t forget: Fall semester reports must be entered on the ETAC website between January 15-31, 2019. Please check your email for instructions. Click on a state to view information about current grantees in that state and their grant projects. For more information about any of the grant projects, please contact us.